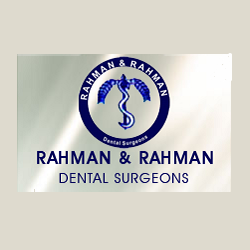 Rahman & Rahman Dental Surgeons - The page is based on the basic information about the renowned Rahman & Rahman Dental Surgeons. You can access the contact details and consultation timings of the doctors operates in Rahman & Rahman Dental Surgeons. You can browse and search for Kidney center, Cancer Hospitals, Children Hospitals, Clinic, Eye Hospitals and General Hospitals in Karachi, Lahore, Faisalabad, Gujranwala, Hyderabad, Rawalpindi and other districts of Pakistan.